At Eggar’s we believe that all students are unique and it is the aim of the school to help all of our students to reach their full potential. The Individual Needs Department seeks to help students and staff to find strategies to remove any barriers they may encounter that could hinder their progress. Most of our students follow a traditional curriculum, however a small number of learners have a more personalised curriculum to match their individual needs, interests and abilities. Where it is felt the right thing to do, a student may be offered additional help and support, in which case parents would be informed. There are a range of interventions and additional subject support available and should your child need this, it would be discussed with you. When your child is approaching the start of Key Stage 4, if we feel it is needed, we will assess and apply for exam access arrangements according to the Joint Council for Qualifications exam regulations. We are one of 6 schools in the county providing Resourced Provision for students with dyslexia. Ours accommodates a total of 18 pupils across the 5 year groups. 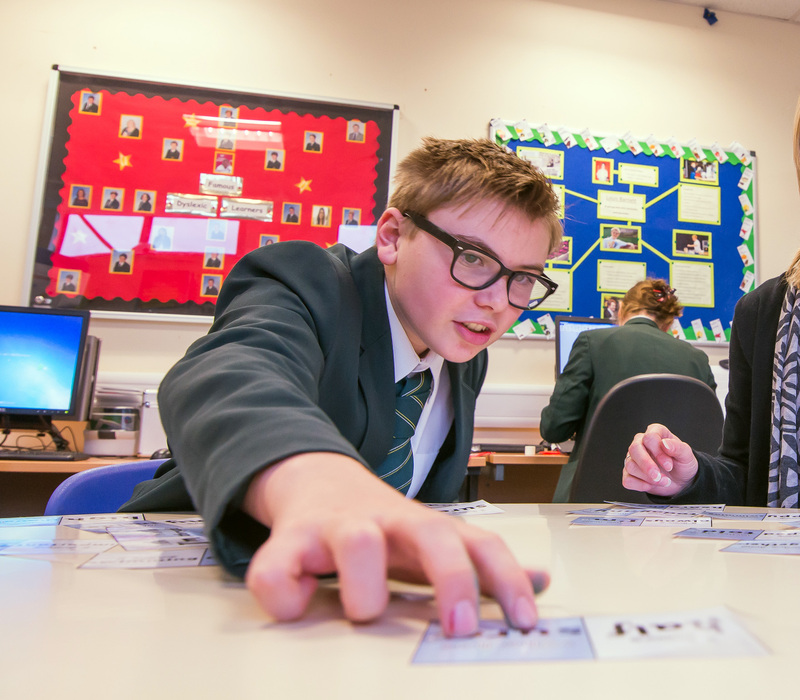 These pupils each receive intensive, multi-sensory one to one or very small group lessons within our department. They also receive support from teaching assistants in some of their core lessons. They are integrated fully into the life of the school.